The Blum Center for Poverty, Social Enterprise and Governance Capacity recognized the outstanding full time field study work of Diana Diaz-Noriega and Selina Sanchez-Cristobal. 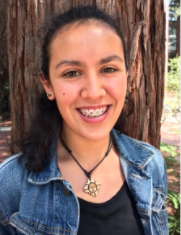 Diaz-Noriega was recognized for her work with youth organizing at the Richmond, California based RYSE Center. She launched RYSE’s first Xican@/Latin@ youth group and took the lead in social media and photo documentation of RYSE and community events. Sanchez-Cristobal was recognized for her field study in Tucson, Arizona with the humanitarian organization No More Deaths/No Mas Muertes. 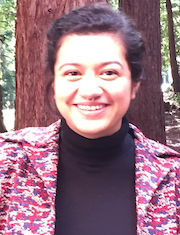 Selina worked on the Missing Migrant Crisis Hotline and, in the words of her supervisor, “played a major part in revitalizing the office.” She supported abuse documentation through video editing, and helped provide humanitarian aid along the US/Mexico border.